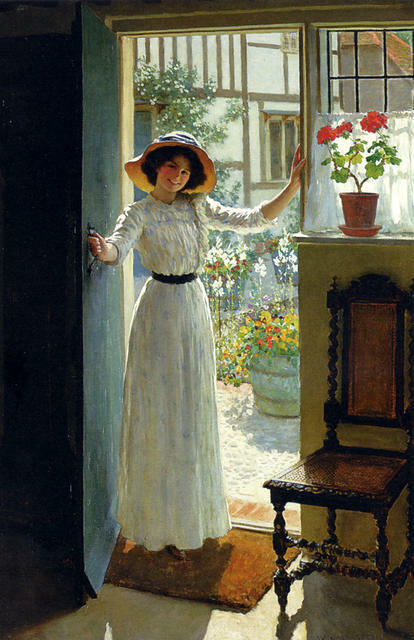 I mentioned Edmund B. Leighton's paintings in the "Images" article below. Here are a few of them: The lord of the Manor, Sweet Solitude, Stitching the Standard, A Favor, and Waiting. These were painted in the Victorian period. I was just looking at Kelleighs blog page where she talks about people making even the smallest homemaking project into a beautiful work of art. Sometimes I feel very sad for the teenage girls, that the major images they have around them are full-blown music stars, or magazine covers with shapely women in styles of the day. We all, and especially the vulnerable, and impressionable young, tend to emulate the things we see. We are influenced most by the things around us. For this reason, many girls see no choices for them other than those images. They want to be like those images. They want to do those things. They want to be models and actresses, not wives, mothers and homemakers. 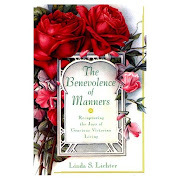 Showing hospitality, making a period costume, decorating the home--these things are not paraded in front of them the way the other things are. If you want those kinds of craft and homemaking magazines, you have to go down a dark aisle in the grocery store, stoop low, and dig behind something to find them. Our daughters and young friends aren't as exposed as much to the occupation of the hands of many other valuable women. Those images are not blaring forth from the television set or the movies or the magazines that surround them. They are sheltered from that other world that could give them so much contentment and fulfillment. The magazines at the check out in the grocery store show women's faces and their alluring anatomy. I would like to see instead, a magazine about women's hands. I'm sure some of you who are my age remember an illustration from an old McGuffey reader about hands. "Which hands are more beautiful," a mother asked her little daughter. 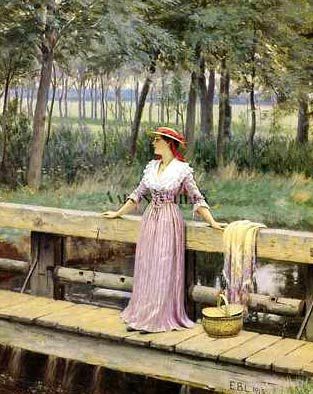 she thought about his mother whose hands were always busy knitting or cooking, or helping her. She thought about another woman's hands that were smooth and fashionable. She knew that the hands of her mother were the most beautiful because of the things those hands had done. But now we see women's hands hold cigarettes and cocktails. Girls may reject the notion of smoking and drinking, but these pictures will hide in corners of the mind. Secretly, they admire. Subtly, the influence. 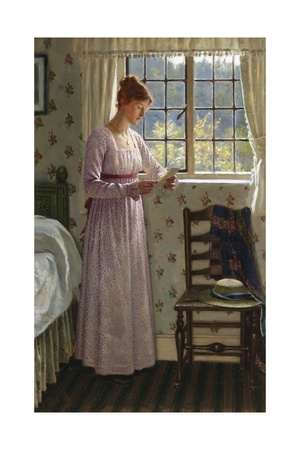 On the Lady Lydia Speaks Column that I originally started at LAF, I posted many beautiful 18th and 19th century paintings of women in sweet domestic scenes, peeling apples, making pie crusts, arranging flowers, talking to their children, reading a book or writing a letter. The inside of living rooms, tea sets and food, and cozy cottages. I did this for a reason. I wanted those images to influence young women. I wanted them to reflect those images in their lives. I wanted them to see the Titus 2 life as beautiful and desireable, by putting up pictures. Words conjure up images in our minds, but pictures show us how someone else has interpreted a value, a thought, or words. Go to WalMart or any chain store where teen girls "hang out" and have a look at the poster section. What do you see? Mostly images of men and women who are famous and popular, fr what reasons? Are they admired for their faith or virtue? What have they contributed that has lasting value? Dr. Judith Reisman reports on the powerful influence of images and the monopoly media to alter human behavior here http://www.drjudithreisman.org/ There are two poles pullling on youth today. On is the money-backed media, that promotes whatever it wants to suit their agenda of corrupting our youth, and the other is the Word of God, that tells us to think on things that are lovely and good. We must publish and teach young women to admire marriage and family and in doing so, have beautiful things in their homes that reinforce the meaning of family. Art work that shows the value of parents and the love of the home, should be on every wall of a child's room, instead of popular music figures. Did you know you can get all the paintings I have ever posted, in poster form, from companies off the web and in catologs, just like the rock star posters that those girls look at in those stores? You cannot buy them in stores. Can you imagine what a difference it would make in how those girls formed their future, if those images were presented to them, instead? 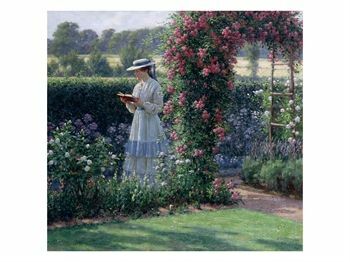 Can you just see what a difference it would make in a young girl's heart, if she were to walk by Edmund Blair Leighton's paintings every day, posted on the theatre foyers, or in the poster section of a discount store? These movie star posters influence the way our daughters dress. 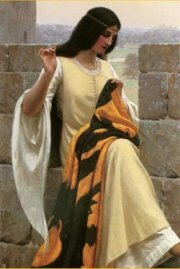 Can you imagine how the clothing in Edmund B. Leighton's paintings would influence our young women? They would want to imitate them. Perhaps that is one reason why the 20th century modernists tried (successfully) to suppress these paintings. If such things were viewed often by the public, people would want to imitate them. The home would be exalted. Women would want to be wives, mothers, homemakers and teachers of good things. Men would want to build houses and look after women and children. We need to petition places like Wal Mart to stock these posters. Surely it can be done!They are all available from art companies, and can be ordered in bulk. I just need to be taught some marketing strategies. I was greatly influenced by a speech from an art collector. He said that he did not know such beautiful paintings existed. 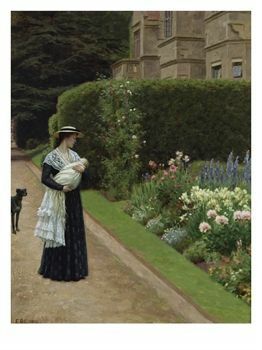 Many 19th century Victorian paintings were removed from the public so that the mad folly of the mod art could be ushered in, at the beginning of the 20th century. Our parents and grandparents, and even our great grandparents did not even know about these paintings. 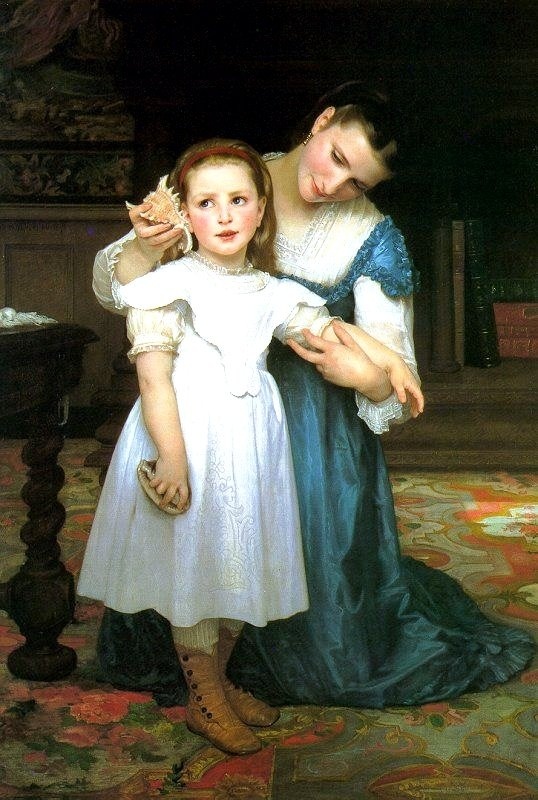 One I can think of is "The Shell"--a painting of a woman holding a sea shell to a child's ear. The modern artists scoffed at these paintings, calling them "sentimental and lacking in depth and meaning." We have the same situation in our generation. There are rock posters that blare out there for our kids to see, and the nice art is hidden behind it all so that the kids can only find it by accident. We need to change this, and that is why I put so many pictures in my articles on LAF. Back to my subject: One reason we choose certain decorations for our home is because of the unspoken messages they provide for our families. We want peace and love in our homes. We don't want rebellion or dishonoring of our values. 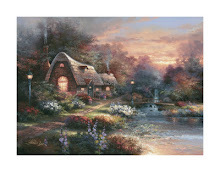 These paintings reflect what has been revered through the ages: purity, beauty, courtship, marriage, home, family. I enjoyed the links on Kelleigh's blog that show these images that are good and wholesome and also quite appealing and very very beautiful. It is exciting to see the way something is arranged or baked, and put in a complimentary setting to take a picture. This might be one motivation for teen girls to learn to love the home: have them take pictures of things that they do, whether it is clearing off the cabinet tops and the sink, or setting a table, or just before and after pictures of cleaning up major messes. I always liked one seamstress's blog showing step by step progress of a dress she was making, including a picture of a zipper being sewn in the machine. The images help us understand how things are done, and what they can look like when they are finished. Posting things like this is really catching on. It counter acts all the bad stuff that those with reprobate minds post. It puts more good stuff on the web. I heard a news commentator complain once that "the web is dominated by conservatives, Christians, and families." Every once in awhile throughout your endeavors as a wife , homemaker, or a grown daughter serving at home, you may be thrown into confusion and self doubt about what you are doing. There is a popular saying, "Expect to suffer for doing right." I've known this saying for many years, but criticism and condemnation always surprises me and can temporarily debilitate me. My emotions take over my will and I am lost in self doubt until I come to my senses. Some people are de-motivated and depressed in their spirit by cruel and thoughtless remarks regarding their profession at home. Others are crushed so much after such verbal attacks, that they cannot concentrate on anything worthwhile. Have you ever picked up an object at the grocery store and were unable to read the label, because you had such a burden on your heart? Have you ever lost your ability to concentrate on anything worthwhile? Have you ever wanted to run away? Remember that you are right. Keep your confidence, and let all this resistance from others, even those within your own family, be a confirmation that you are doing well, and doing right. Instead of letting it crush you, convert it to fuel. The more you are scorned , the more you can do to make your home successful. One area that you can use this negative energy, is in the realm of house cleaning and house keeping. Every time someone says something that discourages you, pick up a broom, a mop, a dust rag, or open a drawer and unload it, clean, sort and cull. If we all did things like this, we would be able to tell who was persecuted the most for becoming a wife and homemaker. This is how you get the upper hand on these people. Insulted again? Guess I'll clean up the bathroom. Oh, you think I'm out of my mind? I'll clean the garage. Keep hurling the insults and I'll get my flower beds weeded. One more remark like that, and you'll get me so stirred up, I'll make a goodie basket for you. Take that. I am afraid that I picked up this habit way too late in my life, and that I sufferred needlessly from taking cruel remarks seriously. When I was told I was worthless, mindless, not contributing an income, shouted at, or shown great disrespect, I tended to nurse my emotions curled up in a ball, unable to eat or sleep. 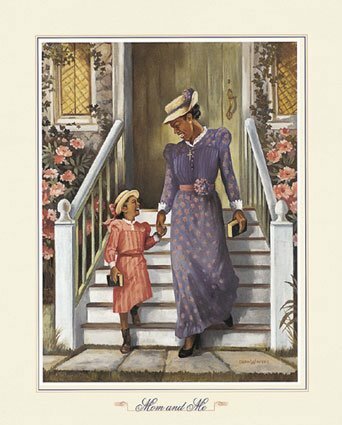 In the 80's there was a stark absence of support for people who wanted to be like the Proverbs 31 woman, or be wives and guides of the home, as in I Timothy 5:14. 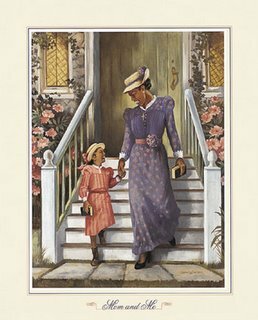 Not only was there very little support (most women were gone to work and the houses were empty--there was no one to call or visit), but women in my position were sometimes told that the Proverbs 31 woman was "engaged in commerce," which justified women leaving the home to go into the workforce full time. Some people even went so far as to claim that this example of an ideal woman was in real estate! 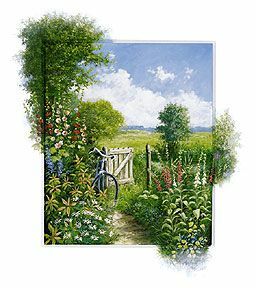 I did find out that the "field" that she bought was about the size of the vegetable garden in my back yard, and that it was a common custom of the times, equivilant to the responsibility that many women have today of choosing the appliances for their homes, or the best car for their uses. This woman is often interpreted in such an extraordinary way that people say she was not a full time wife, mother and homemaker, but a shrewd business woman who stayed up all night and sewed things to sell. A careful study of it will reveal something more realistic. The larger principle in this description is that she made good use of time, and was not idle, but someone whose major concern was the success of her family spiritually, physically and mentally. Rather than being impressed with the care and concern she had for "the ways of her household," there is a tendency to magnify the money-making aspect of her life, which, I suppose is on everyone's minds in our times. Challenges like this, which can shake your confidence, can be used as a hint that you need to better yourself. After the next negative remark, think, "Is my work done?" Think about something that has really be neglected. Maybe it is something that you never seem to be able to get around to--such as that overflowing closet or bathroom cabinet. We are all emotional, but I think especially as a young homemaker, you can take some of these things too much to heart. I remember being so grieved at criticism levelled at me that I wept until I sank into depression, and my home and family were even more neglected. One day I decided to get the better of it. I am not saying that people were always levelling rude comments at me, but that it happened periodically and it always devastated me. The day that I decided I would not put up with it any more, is the day my life changed for the better, and I became more successful at home. I remember clearly that a relative of mine made a cutting, sarcastic remark about me "never doing anything." I remembered what the Bible said about doing good to those who treated you in a despiteful way. I excused myself and went and put on the tea kettle. (Oh the blessings of making tea--even if you don't drink it!). "I'll be right with you," I said. "I'll make us some tea." 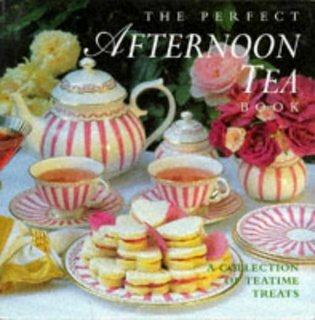 In a few minutes I brought out some beautiful tea cups and fragrant Celestial Seasonings herbal raspberry tea in a pot. 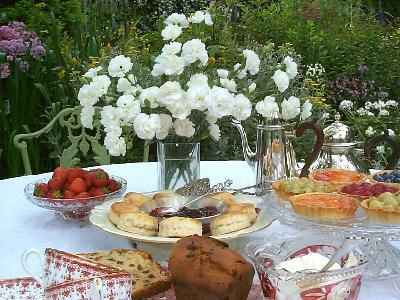 I poured the tea and offered some scones. I then reached over and got a huge basket of laundry that I had been folding before she dropped by to see me. I began to fold, occasionally showing her some piece of clothing or a towel that I liked, and making a comment about where it had come from or what I used it for, and when I had finished, I put it away and brought in another basket. As she sipped her tea, I put away the children's toys. Then I invited her into the kitchen and began to work on washing the dishes, talking in much the same manner as I had while folding clothes. "This plate was a wedding gift; these are the children's special glasses my mother gave them, " etc. You can be sure I never heard another discouraging word from this woman. She, in fact, became inspired to go home and clean her own house, because of the way I was doing it, with joy. Do remember this when critics are watching you work: you can't act like an oppressed woman who doesn't enjoy her work, if you want to win the approval and support of others. Another thing that really helped me claim my territory and establish my borders, was to do something benevolent for the person who was displeased with me. 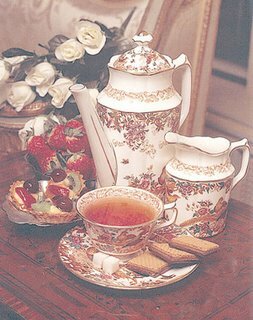 Inviting a disgruntled critic for dinner, or giving them a love-basket full of things that delight a woman's heart (candles, soaps, teas, a beautiful book), usually nuetralized her and I heard no more of her talk. Showing these people that being a homemaker enables you to be rich in good works, (I Timothy 6:18) can help to open their eyes. I remember once a woman who was in business where my husband worked, constantly asked why I wasn't in business with him, and what I did all day. It was reported to me by several people that this woman just couldn't quit talking about me, so I extended an invitation to her and showed her around my house, explaining what I was doing in every room, and what all I was responsible for. She and her husband enjoyed a meal with us and they became good friends. She later made a heartfelt decision to be a full time wife, mother and homemaker. If I had retaliated towards her thoughtless remarks, I doubt this could have been accomplished. My mother did this once with a neighbor who came by daily and just wanted to sit around and complain. In those days mother was an avid gardener. Her visitor followed her to the garden, where my mother pulled weeds and picked strawberries. This memory came to me when I decided that I would not let these remarks and challenges hold me back. Are you letting popular opinion hold you back? Do you lack group approval and motivation? Are you hurt by those remarks? You can use it as a driving force to do good, instead. Each criticism, each disappointment, each accusation, can spur you on to something useful. 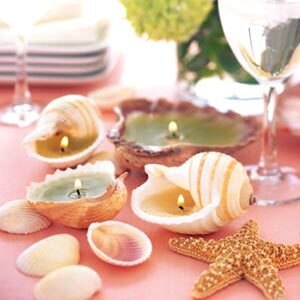 It can be like a signal to do something beautiful: - arrange a mantel, a table-scape, or make a bed in a special way. My husband (who only wants me to be happy) told me once that I could reward myself with something I wanted, every time I sufferred such disappointment, if I wanted to. I learned to look at it in a completely different way, thanks to his attitude. Shortly after that, a woman told me that my daughter wouldn't always think the same way about life as I did, and that she would rebel. We were both horrified. How dare she suggest such a thing. I felt like my stomach had rolled over inside of my body and my heart had constricted into a tangled mass of muscles, unable to move. Normally, an insulting remark like this would have debilitated me for days, where I would experience heavy anguished sobbs intermintent with a blank, hopeless stare...but this time, I remembered "the reward", --and so, as a reward, I sewed her and myself matching dresses, a personal luxury for us, which began a tradition that has not stopped. As time has gone by, I find I don't need rewards. Rising above it and being able to conquer the hard challenges of homemaking, is reward enough. One woman with whom I am acquainted was constantly derided by her teen son, who thought that his mother was very stupid. He criticised her constantly, and she found she could not win an argument or convince him of her reasons for being home, so she began to clean his room. It made an amusing sight to see her folding and putting things away, while her son berated her. Who was doing that which was right? It is interesting to watch critics. They talk much, and achieve little. If we could only think, when we are criticised unfairly, to "check the fruit on the tree," or have a good look at their own lives, we would not waste time and energy feeling sad and wounded at their thoughtless words. Just keep working, and you'll have victory over the housework and victory over your own self. At the risk of making this entry a bit too long, I really must add that it is more than housekeeping that you will find yourself guarding. It is the values that you hold dear; that of marriage, loyalty, the house as a refuge and a place to be respected, the family as a cohesive unit that supports one another and cares about each others feelings. You will instinctively be guarding your home against things like selfishness, rebellion, disrespect, and any thing that devalues its impact. There will be those that shake its emotional foundations by challenging your right to maintain these values. Remember that you are right. Resistance to what is good and beautiful is only an indication that you are being effective. If you have to reward yourself after a battle, then do so, and eventually you will find that success is reward enough, and that it was worth the price you paid. I'd like to challenge every "Women's Studies" class in every university, to study this book! I doubt very much that they would claim these two authors as "early feminists" any more! the pages may be a bit hard to navigate but it is well worth it to explore this book, which has been carefully reproduced online. There are more reasons to arrange a home than just the fun of decorating. Every room and every item in the home has a purpose. Some of the houses of the 1920's make a lot more "sense" for the function of the family, than the houses that were built at the end of the 20th century. For example, families spent more time in their homes, and things like having a view from the kitchen sink were important. One of the 1920's houses we lived in seemed to have a meaning in every corner. At evening time, we could imagine the wife sitting in a favorite chair with just the right amount of evening sun shining across her book, her journal, or her mending. The breakfast area was in just the right place in the house to observe the first light of day and the sunrise. A room facing north was just perfect for an artist who needed lots of good light and few shadows. The bedrooms on the south side of the house were protected from the morning sun and the harsh evening sun. The living area took full advantage of the sunset. Trees and bushes which bloomed at certain times of the year, were placed where they would be most appreciated from the windows. A front porch was a perfect extension of the house, creating another family room where members sat in the evenings and waved to people walking or driving past. 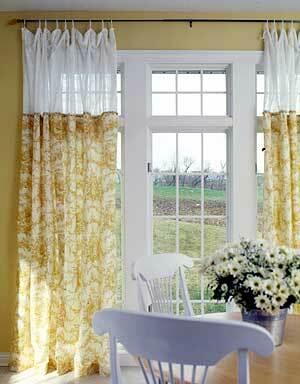 Windows were similar to the the one you see here, from floor to ceiling. The kitchen, though separate from the eating areas, was visible from other rooms, so that those working in the kitchen could still keep an eye on the activities of the rest of the household, and speak to the rest of the family without having to shout. Instead of having a garage in the front of the house, one had to drive around the back of the house to park. This made the front of the house far more picturesque. It reminds me of the carriage houses, that were built for the carriages. They were not in full view of the front of the house, as garages are today. Contrast these houses from the 1800's and the 1920's and 1940's with the houses built in the 1960's and 70's. I lived in a few of them and was always depressed. I could never figure out how I could be so unhappy and yet have a house of my very own, but even the log house my father and mother built, that I grew up in, made more sense with the way the floor plans and windows were arranged. In these new tract homes, the windows were so high up on the wall, and so short in size, that no one cold see out of them. It made you feel as if you were locked up in an institution, away from the outdoors. Children growing up in these homes were not able to spend hours and hours of time staring outside at the rain or watching things happen outside. What in the world were the architects of these "homes" thinking? These houses also had a rush-rush feeling, as though the floor plans were designed for people to run home, get something, and run back out again. Everything was so convenient that it hardly warranted any kind of protocol or feeling to do it. One didn't think much about what they were doing, they just rushed in and rushed out. To help you understand what I am talking about, there were no entrances. You just opened the door, and there you were, right in someone's living room. There was no place to hang your coat or lay down your umbrella or hat or handbag or briefcase. In spite of the conveniences these houses were giving, it was a lot of trouble to find a place for things. With no entrance, one had to go further down the hall to put their wraps away. When company came, all the coats and handbags had to go on the guest room bed. Contrast this to the little entry ways of the houses of the previous century and the turn of the century: A little seating area just by the front door allowed people to wait for the father to get the car and drive up to the front step to fetch the family for an outing. In this area were hooks for coats and a place for boots and umbrellas. There were many other problems of these modern homes. 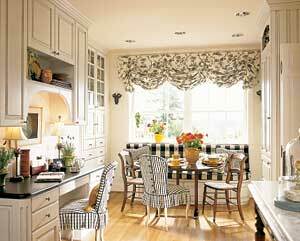 The dining rooms were almost eliminated in favor of a kitchen eating area. I found that this was not very relaxing. I liked a dining room because it was away from the mess in the kitchen, and encouraged us to set the table and sit down to eat together. I like to have both, if possible, and to have several areas to have meals: a breakfast room, a dining room, a place on the patio, and maybe another eating area in the family room. A person can certainly live without several eating areas, but at least a dining room adds a feeling of specialness to eating, as well as architectural interest in the lay out of the floor plans. Romantic Homes magazine, Country Decorating Ideas, and Cottage Style magazine have had several articles in the past few years, that have shown how enterprising women and men have taken tract homes and made them beautiful by adding architectural interest and rooms within rooms, to give them living areas where none were intended. One article showed how a living room was divided in half by a short bookshelf, to enable the couple to have a dining room. They hung a plug-in chandelier from a hook in the ceiling, and created a soothing eating area away from the kitchen. These houses did not have much access to the back yard and the back door. Whereas the family dwelling of the 1920's may have had a back entry area where people could leave their gardening gloves and wash their hands before entering the main part of the house, the tract home had no convenient access to the back door (it was usually fenced) unless you were already in the house. 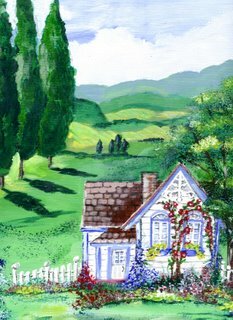 In one of the older homes we lived in, our children loved to come home from somewhere, get out of the car, and run around to the back part of the house. I sometimes wonder if some of the homes of the 60's and 70's were built in light of the transient family and unstable marriages. They had "resale value" instead of sentimental value. The breakfast area was in just the right place in the house to observe the first light of day and the sunrise. A room facing north was just perfect for an artist who needed lots of good light and few shadows. The bedrooms on the south side of the house were protected from the morning sun and the harsh evening sun. The living area took full advantage of the sunset. Trees and bushes which bloomed at certain times of the year, were placed where they would be most appreciated from the windows. A front porch was a perfect extension of the house, creating another family room where members sat in the evenings and waved to people walking or driving past. There is a mentality going around that money solves everything. It is not so much the money that makes a home what it should be, as it is people behaving in their proper roles. To restore the dignity of the home, men must work for a living and be the family providers and women must be the keepers of the home. If a man has the conviction and determination to work, he can find work, even temporary work, until the kind of work he really wants becomes available. Money is important, but it is firstly important to work, and the money will follow. Not only should he work, he should eagerly seek the opportunity to care for women and children. If he does not want to work, he should not marry. If he is married, whether he agrees with it or not, the decision is made and the die is cast--he must work to provide,or he will reap the consequences: degradation, poverty, sorrow and a failed life. Men can work, no matter what the job (short of doing something that harms the family), because his presence in the workforce exposes him to future employers and people who would recommend him. If he is laying about at home, no one will see him or recognize his potential. He must get out and work, even if it does not give everything he desires. 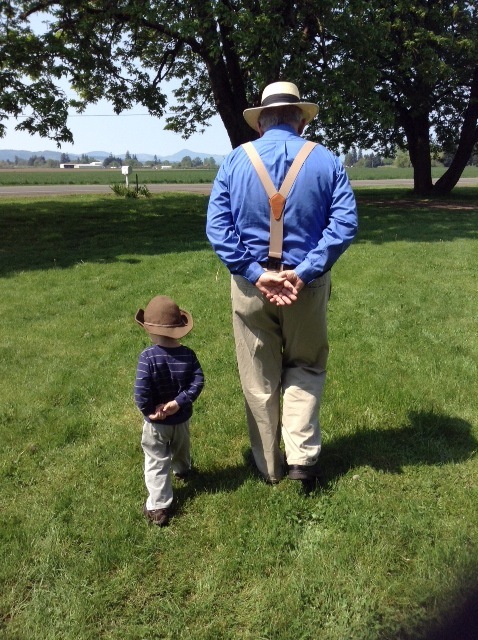 It is a stepping stone to something better in the future, but he must also be on the lookout for other opportunities. Even if he isn't in his chosen field of work, he must not be without work or a wage. If worse comes to worse and there is just no hiring, he can at least use his off time to repair the house, mow the lawn, and volunteer to improve the property. The point is, he must work if he is to help restore the dignity of the home. Money does help and it must be adequate, but some money is better than no money, and can lead to more, so he must find whatever temporary employment he can, as if it were an emergency, and restoring the dignity of the home is an emergency today. He must not ask his wife to go to work, because being a provider is his responsibility, and to ask her to do so, makes him less of a man. He can always be on the lookout for something better than his current job, but he must not be unemployed. There is always work to be had, even if it is not the ideal job. It doesn't mean he'll be settling for less than the best. It can be temporary work. The temp. agencies often have plenty of work for those who will work. If a man does not work, he must cut down on his pleasures: he doesn't need to drink beer, over-eat, or go to the movies, go bowling, or other places of vice and entertainment, during unemployment. "If a man will not work, neither should he eat." The thought of living this statement, should scare him to work. Barring serious injury or illness, a man should work, and make an honest living. Even if he has no wife, has only a wife and no children, he should work. Our sons always wanted to work.From the time they were boys, you couldn't restrain them from working. It was just inside of them to naturally want to work. They tried many different things before settling down to one particular kind of work, and today, even though they have steady jobs, they are capable of doing many different things to earn a living. Not all work is hard, back-breaking work, and not all work is interesting. Nonetheless, it is the principle that we follow. His work may not always seem worthwhile, or fulfilling, but it achieves the ultimate end: to make provision for his family. To deny a man the opportunity to work, is to demean him and reduce his masculinity. In her famous article in American Opinion of the 1960's, author Taylor Caldwell stated at the beginning of the women's "liberation"movement that if women insisted on leaving their homes for careers, the men would stay at home complaining of having a bad back. While there are those who are legitimately injured, many bad backs come from just laying around and being overweight. If a man will not work, he should not eat, the Bible says. If he is not working, he should eat a little less. He will lose some weight and his back problems will go away. If men refrain from working until they get just the right job which uses all their talents and skills, and has hoards of medical and retirement benefits, they deny themselves the very reason to work: to provide and to be real men. Women can work too, but it will not have the same results. It will cause them to neglect their homes and their families and other social obligations. Sometimes it is impossible to invite women over to encourage them because they are always working outside or inside the home in some business. This cuts them off from the encouragment they need from the fellowship and support of other women, even their own mothers and sisters who may also need them during the day. Trying to serve the home with a divided heart and divided time, can result in frustration, and a feeling of craziness. You can lose your peace of mind and sense of well-being, when things are not orderly in the family: the husband working, the wife minding the home. No matter what you hear on all those psychology talk shows, women will be forever nervous and the dignity of the home will not be restored when these innate and eternal laws are are violated. Not only should a woman do the work of the home, she should eagerly seek the opportunity to care for a husband and children, and her own dear house, if she has them. No job is more exciting, and if you think it is, then just think how boring it must be as a man to have to work at jobs he doesn't really enjoy, just to bring home provision for his family so that the wife can manage the home and prepare good meals. I would much rather be making meals and folding laundry for my own family in my own cozy home, than doing it for a large hospital or a prison. Think about that the next time you think there is no dignity in working at home. Not only can you do it better than an institution, but you can create the kind of atmosphere and decor that suits your family, which is something you cannot do if you work in the public. Women must also be in the proper alignment, if the home is to be restored and function as it really can. She was created to be a wife, mother and homemaker. If she is not all three of these things, she can be one, or she can help someone else in their role. In the 19th century there were single women who were also career women, yet they knew that their careers were second-best to the home. If a woman is married, she has no choice: she must nurture that relationship and care for the house. If she doesn't intend to do that, she should not marry. If she already has married, it is too late to back out of this role. It is possible, however to make this home life the most dignified thing on earth. 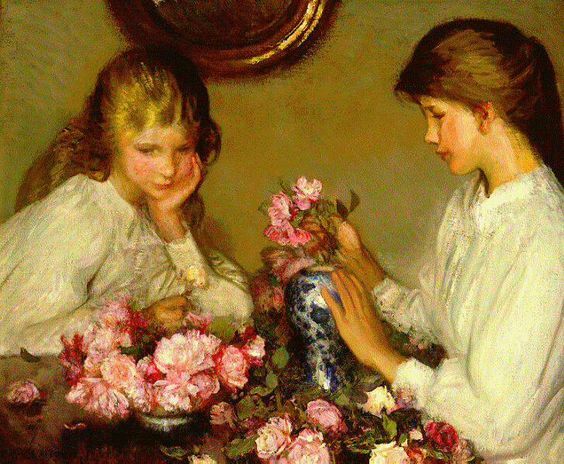 Mary Cassatt was a single woman who painted pictures for a living, but look at who she painted: her sisters children, and many beautiful scenes of family activities. 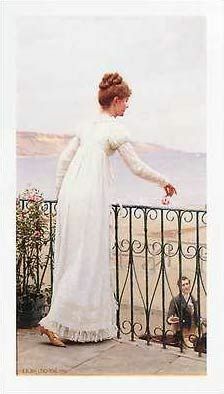 Catherine Beecher was also a single woman, who was an author. Look at the pieces she wrote: books on how to make a kitchen less formidable to the homemaker. 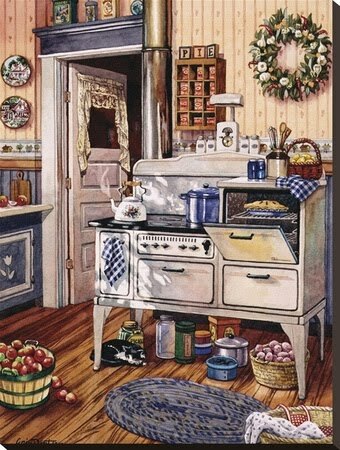 She was the inventor of the modern kitchen with its white appliances, white walls, windows that looked out on the kitchen garden, and spacious, cheerful rooms in which to work. She brought the kitchen out of the darkness into the light. Even though these women were not married, they participated a great deal with their own families and helped make life at home better. Work at home is also sometimes less than ideal. She may not have the kind of kitchen she likes or the atmosphere she wants, and money may be short. Nevertheless, her job is to guard, guide, and rule the household. 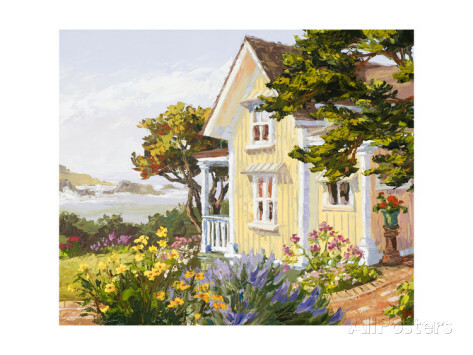 She has to create an atmosphere in that home that helps the family to function peaceably and happily. It used to come natural to women when the culture of the home was predominate. Their mothers and grandmothers and great-grandmothers were homemakers. Now a woman can be totally bewildered as to how to make the home function as it should and restore the dignity of the house family life. If she is single and doesn't ever intend to be a wife in the true sense, or a mother and homemaker, and finds the whole idea repugnant, she should not get married and not have children. It is not fair to the family to neglect them while she pursues a career. If she doesn't intend to settle down and make home life dignified and glorious and all it can be, she should not marry. If she is married and neglects her duty as a wife and homemaker, she will live with the results of chaos, mental instability, troubled home relationships and lack of stability--even financial stability, for being a homemaker requires careful accounting. The house is just a structure, but if you want to restore dignity to home life, what you do inside that house really matters. It isn't just a place to come in and loll about because people have nothing better to do. It is important that this place have a sense of dignity. Too many outsiders: Too many people coming in and out of your home that you are not related to, water down the thickness of a family, including the brother that never works, or the friends that come so often they neglect their own homes and rob you of the time you need for your own family. Limiting these to special guests, friends who reinforce what you are doing, and dinners for company, helps the family work together as a unit to serve others. People coming in an out all day and night, or just "hanging out" puts strain on the family and ruins the bonding of a family. Family members don't feel free to be who they really are, express themselves to one another, confide, or work out personal beliefs, when there is too much outside interference. Too many things to look after: Paring down can be a great stress reducer. If there are heaps of clothes on the bedroom floor, maybe it is time to get rid of all but the necessities. Families function better when members each have a few good, high quality items of clothing for the appropriate use and occasions. To determine what has to go, have a look at the work you are doing and take note of the things you are always picking up and putting away. If you lived without them, it would be less to look after. One cleaning journal that I read suggested that every drawer and cabinet, every surface and table, should have a blank area on it. This is good practice in restraint and prevents a build up of "things." Too much to do: How many days do you have filled up with activities and appointments? Have you considered cancelling it all just for the experience of being at home? You will be amazed at the amount of things you think can only be done "somewhere else" that you can actually do at home. I'm not suggesting that you tie yourself down to the house, but that such a whirlwind lifestyle is not good for the dignity of the home.When you think of dignity, do you think of madly rushing about, or do you think deliberate, meaningful activity and quiet repose? Too much talking: Talk from the outside consists of radio on all the time, broadcasts and information shows on television, and telephone calls. Noise from the inside can be too much talk about every little thing, and screaming children, yapping dogs. This noise creates stress for the home, and it is not necessaray. One family I know purposed not to speak or make noise unless their words were beneficial to other members of the family. We tried it and I still remember it as the start of something wonderful for our family--a habit we still enjoy, which helped maintain the dignity of our home. Not enough meal preparation and eating together. Not enough vegetable gardens in our back yards. Not enough discussions of the deep issues of life, such as purpose, responsibility, family, and so forth. Not enough home libraries with uplifting books..
Not enough beauty outside and inside the house -- plants, decorating, displaying your grandmothers treasured doilies and teacups, etc. Not enough home improvement. There is always something to do to make the house a desireable place to stay so that the family doesn't always want to go somewhere else to have their needs met. Not enough cleanliness and order. Not enough hospitality. You need not knock yourself out to do this: even if you entertain once a year, you will have the entire year to plan it. Once a year is more than many people entertain. I don't mean taking someone to a restaurant and a place of entertainment, but to invite them to your home, for a limited time, to enjoy a meal or an afternoon tea, or a cool drink on the patio. Too much of some things and not enough of other things, reduce the dignity of the home. To build up the importance of home life, there are a few things we can do. Dress with dignity. I don't mean dress up or dress for dinner. I just mean put on clean clothes each day and act like you are going to see someone important. I can understand if you have to drive a tractor or work in the yard, but even those jobs seem to have more dignity if you start out prepared in the morning. Have a ritual that you can follow that keeps you from starting the day with a bang, with a bunch of chaotic noise and rushing about. Prepare the night before so that you won't wake up to discouragement, by going through the house and putting it back into order--not heavy cleaning , but just order and serenity for the next day. Make your home a beautiful place to look at, inside and out, and your family will feel different than other families and more bonded to their own. When this is done, family members who become a little disgruntled may discover that other people's homes and other places, are quite lacking in the ingredients that make a home. Treat the house as though it were a special place reserved for only the best things to happen. People don't need to "hang around" your house unless they are helping to improve it or working or are members of the family. Members of the family need to treat the house with respect and the family members with respect. They should watch the words of their mouths, and the way they are dressed that they don't offend others in the home. They should guard the property carefully and not abuse furniture or household items. It should be a place of peace and quiet, unless more is called for. In restoring the dignity of the home, think of some of the places you where you have felt dignity and analyze the ingredients. They probably included light, cheerfulness, cleanliness, courtesy, encouragement, inspiration, and all the things that gave you a feeling of goodness. You can adapt these principles to your own home and bring dignity back to the family. The pursuit of happiness, as mentioned in the Declaration of Independence, had a meaning that is lost on moderns. At the time that it was written, it did not mean pursuit of pleasure, as some of the current generation suppose it to be. Pursuit of happiness meant, among other things, the endeavor of a man to have his own family and his own business, and to worship God without hindrance from anyone who would oppress us or thwart us in this. In Jane Austen's novels, happiness referred to the felicity that a loving marriage would bring to an entire family, not just the couple. Pursuit of happiness is not exactly the attainment of happiness. If you've ever set a goal to make or do something, you know that it was far more enjoyable int he steps to achieve that goal than in actually arriving at it. Pursuing happiness means to do what is good and right. Our forebearers would be puzzled at our quest to feel good and be happy. They were more concerned with the pursuit of happiness, which was entirely different than the temporal pleasures that are today mistaken for happiness. The "happy" verses in the Bible, referred to as the Beattitudes, are often defined as "be attitudes," defining a state of mind and even a mood. Each line begins with the word "blessed," which means "happy." The happiness described there is far different than the happiness that people demand a right to, today. If you have an online Bible source, such as E-Sword, you can do a convenient search of the word "blessed" in Psalms, Proverbs, and Matthew, which will reveal that the person who is to be happy, is the person who will do what is right, no matter what the risk. To be happy, it says, one must sometimes deny his natural impulses, go without instant gratification, or put effort into achieving something worthwile. Pursuit of happiness may mean that you study something for awhile in order to know how to do it well. It can mean that you work hard in order to pay off some debts, or have an orderly home. It is a completely different concept than pleasure. Those who wrote those words, "pursuit of happiness" probably in their wildest imaginations did not envision a nation full of pleasure seekers. To be sure, pursuing happiness in the way that the the beattitudes describe it, will bring about certain good pleasures such as peace of mind, appreciation of life, experiencing the beauty of nature, enjoyment of family, or ability to earn a good living and pay your way. It does not mean, however, the pursuit of bad pleasures, or things that harm yourself or others. Some may say that it doesn't matter what they do, because they just want to be happy, but even in the old stories, people denied their own temporary pleasures in order to keep from offending others, or bringing a bad reputation to their parents or their nation. Today, selfish behaviour is called "happiness" no matter how many people it hurts and no matter how many broken hearts it leaves on the path towards a person's pursuit of happiness (or rather, pleasure). I know of several people who are hurting their spouses, or hurting their parents and brothers and sisters by following their own selfish pursuit of pleasure. One man left his wife because he said, "I just want to be happy." In the mean time, his children and his wife are left alone, without provision, lonely for him, and needing his guidance and protection. Another woman I know has decided to pursue a lifestyle that is what is commonly called "alternative," because she "just wants to be happy." Her parents are grief stricken, knowing the future that their daughter has ahead of her will not be one that benefits future generations, or one that is beneficial to her, either. These people are pursuing pleasure, rather than happiness, and when you do that, it will be as elusive as trying to find the end of the rainbow. One of the major differences between happiness and pleasure, is that pleasures are always temporary. In order to feed them, they must be engaged in constantly, and can even become addictive. There are good pleasures and bad pleasures, as you know. The good pleasures are a result of the pursuit of happiness, in the way that it was meant to be. If one attains to the high code of living that brings about good character, marriage, home, family, personal business success, they reap the pleasures that come with those virtues, such as the comforts of a nice house, good food, gifts from your family, or success in business. If on the other hand, one pursues the pleasures of vice, it brings about emptiness rather than lasting happiness, resulting in a constant quest for more pleasure. If you want pleasures, there are plenty to be had that will benefit you and not harm others. Instead of taking pills and substances to feel that certain "buzz" that is never lasting, try revamping your life. Get rid of unnecessary work by de-cluttering, go on a healthful eating and exercise program, read some good books, beautify your house and gardens, watch a sunset or sunrise, drink lemonade on the front porch in the summer, listen to the birds sing or hear a symphony, plan a new wardrobe, send out cards and gifts to people that might be benefitted from them, and even eat some chocolate. These are things that not only will not cause harm to other people, they will bring pleasure for a long time to come. I suspect that today's society isn't as interested in the pursuit of true and lasting happines, which is really a lot of hard work, as they are in the pursuit of pleasure. In training our children, however, it is important to show them the difference between happiness, the pursuit of happiness, and good/bad pleasures. Instead of lurid pleasures, a study of happiness yields references to effort and pursuit of worthwhile goals. Psa 128:2 For thou shalt eat the labour of thine hands: happy shalt thou be, and it shall be well with thee. If you are a young homemaker, taking on part time work, full time day-care in your home, or sales, I want to warn you to be careful. If you haven't read the partial list on the previous article, of things that need to be done to the house, for the family, or for yourself, please go and read those things and make a mental checklist of your life before you take on the world's work, or before you decide to "help out" with the finances. If you have an able-bodied husband whose back is not broken, then do let him be the provider. It builds him as a man and draws out the qualities he needs to be the masculine protector and provider. 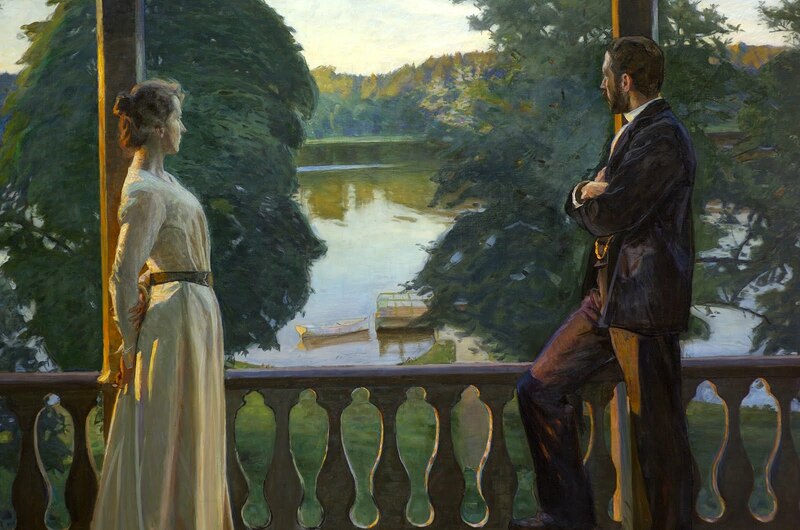 In one interview I had with a new homemaker, she gave her reason for wanting to quit her job and be a full time homemaker: she said that over the years she had observed that women who stayed at home and managed the house had a serenity and a more gentle countenance and a contentment that the women and work lacked. 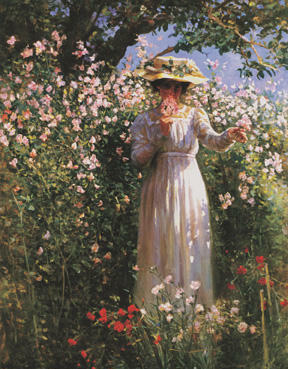 She wanted that femininity in her life. Being the manager and guide of the home increases a woman's femininity. You might look at other's homes with envy and wish you could have a house like theirs or children like theirs, but how do you think their homes got that way? I've been called crazy, for sure, for being a full time homemaker and not working out after my children grew up. Yet my home is usually available for any one who needs some hospitality or a cup of tea, and I'm able to concentrate on improving it through cleaning, arranging and de-cluttering. While someone is standing there telling me I'm crazy, I can point to the very place they are standing and ask if they think a crazy person cleaning and arranged it, and if they are eating scones and jam made by a deranged person. These homes that you admire so much did not get that way through neglect. Homes get that homey feeling from the presence of a woman who is not always pressured for time, who is not always rushing around. The stay at home wife has time to think about what she is doing. If she never sits still long enough to observe her home, she does not "feel" it. She needs to feel the atmosphere of her house in order to understand it and change things that need to be changed. If you work to earn money, whether outside or inside of your house, you will serve your family with a divided heart. One or the other will not be done well. You cannot serve two masters successfully. Usually, the one that "pays" will get the most attention. Money talks, but it is often hollow talk. The money you make while neglecting your family, your house, and your life, will often make itself wings and fly away. You probably won't be able to point to very many things that you have, that you got from earning money. Mostly, it pays for things you cannot put your hands on. You can live without the newspaper, magazine subscriptions, trips to the races, movies, cable television, extra telephone services, and most other unnecessary expences. The best things in life are not things. Family values are not having nice cars and a house in a neighborhood like everyone else. It is better to have nice, respectful children and a family where there is lack of stress, than high house payments and car payments. If you take on extra work besides the house and the family,, it steals your time and your mind away from doing the best that you can at anything. It cheats your family of the attention they need and creates frustration and pressure in their lives and yours. Some people think you can just go to work and earn a lot of extra money to hire other people to clean your house, decorate your house, care for your children, and feed your husband, but the whole point of being a homemaker is to put your own heart and your own special touch into the home. You can of course hire others to do this work, but you may lose the homey look in exchange for the institutional look. There is an article on this blog somewhere, where I state that I've never yet seen a woman living under a bridge because she quit her job to be a full time wife, mother and homemaker. Things have a way of working out when you do the right thing. We must be willing to do what is right, no matter what the cost. We are too busy thinking about "things" that will nto get paid for if we do the right thing, but what good is a car or a house paid for if you lose your sanity, lose your children, and have a total collapse while trying to "do it all?" There are plenty of people that can do all that extra work, but there isn't anyone else that can be the wife, mother and keeper of your home. No one else will do. You are it. If you'll check out some of the decorating magazines on the newsstand you'll find that people are able to live beautifully in less than perfect houses. Some designers have even made an art-form of the shabby look, the sparse look, the old look, the cast-off look, the hand-made look, the freebie look, the Wal-Mart look, the dollar store look, and even the rich look on a budget. 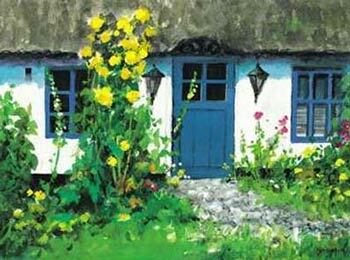 Some people have made beautiful havens to live in, from dwellings that are not listed in the top ten places to live. When you try to earn a living while being a homemaker, it steals your time and your mind away from your home and family. It cheats your family of the attention they need and creates frustration and pressure in your life.If you keep on going this way, you will be frazzled by the age of fifty and not be any good to anyone. Women are the weaker vessel, but that doesn't mean she is weak in her role. Her strength is made for making a wonderful home and guiding her family aright, but she will break down if given pressures that she was not intended for. If you keep taking on extra work, you will not be able to give your best. I've always said that if a married woman will work, the man will let her, and he will not feel the pressure he needs to feel in order to recognize his responsibility to earn a living for his family. It may entail letting a bill go unpaid, and letting the phone go dead before he will open his eyes, but if you continue to stand in the gap and earn money for something like this, you will never be relieved of the responsibility. I know there is an awful lot of sarcasm directed at Fascinating Womanhood, but if you will read carefully the section about the man's responsibility, you will see more clearly. There is nothing wrong with earning money, but if you are to be a devoted wife, mother and homemaker, the money-earning should be done in liesure and not under pressure. There is an old saying, "A penny saved is a penny earned." Think about this. Your money doesn't have to be spent. It can be saved. And, it is more than a penny earned if it is saved. It can earn interest when invested properly. I hope to write more about this concept later. So, I hope you will give up all those extra responsibilities and put your home and family first. Someone wrote to us about becoming organized at home. 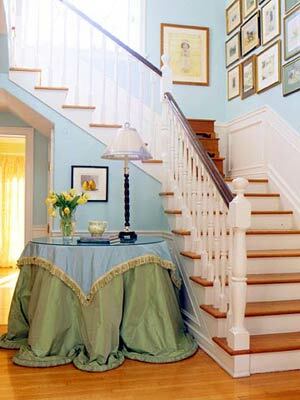 While there is no one way to be clean and organized at home, there are a few ground rules that can be followed. Every homemaker is different and has different likes and dislikes, and different methods of keeping house. 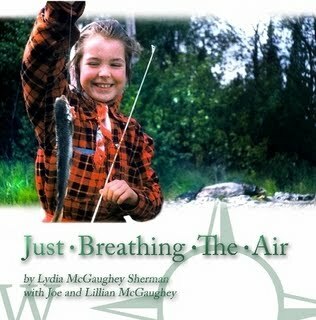 There are a lot of helpful things on the web and in bookstores for women who find themselves overwhelmed or giving up. The first practical thing you can do is clear out all the clutter. If you have a garage or one room you can put everything in, it is a great help. Clear out all the rooms except for the furniture that is necessary or beautiful. Then, clean these rooms. As you need something, go to that spare room and get it. Find a place for it and keep it there when it is not being used. Make everyone in the family practice this habit. The less you have, the easier it is to be organized, and the better habits your family has, the easier it is on you. In this modern era there is a gross misapplication to the woman's role in the home. Sometimes people get to reading the Bible and without real study, assume that the woman has no say whatever in what goes on in her home. A closer reading of Titus 2, with the original Greek words, brings out the meaning of the phrase "guide (or guard) the home," strongly. It means "to rule." If she wants order in her home, she simply has to insist on her rules being followed. She can't have people in the family running all over the place leaving things helter-skelter however they wish, and then expect to have peace of mind. Most of the nervous conditions and stress that women suffer are due to not having control over their own house. Think about that word "rule," in context of management or control. We all have to have control over the clutter, control over the noise, and control over the condition of the house. We have to have respectful children and a husband who reinforces these values and backs up the wife in her effort to have respect and order in her life. As a family, we are all in this together. We can't have the wife struggling over in one corner trying to get above the mess, all on her own, without the others understanding her role and working toward her goals. It is just as fruitless to do that, as it would be to ignore the husband in his efforts to keep a job, and not keep his goals in mind either. In an effort to really rule the home, a woman need not think that she dominates. She is just doing what she is supposed to: managing her home. It is her job. No one has the right to interfere with that job, any more than she would want to interfere and mess up other people's jobs. It is her duty, and it is wrong to thwart her in that effort. I've been blessed to have a really understanding husband. He just wants to do whatever it takes to make me happy. He doesn't like me to be frazzled and stressed out. He wants to know what it is I will need to reach my goals. He doesn't want me to be frustrated with the home. He will do whatever it takes to make it easy for me to love my job. In ruling her area, a woman must have obedient children, and working children. They can't be allowed to sit around watching television or out playing sports while she struggles alone with the home. The children must be taught how the house is managed, and they cannot do that if they are just laying around. Even very young children can help the house run smoothly. My daughter, whose sons are very young, folds the laundry and then engages each boy to carry stacks of clothing and towels to the appropriate room. They love this work and to them it seems like a game. Just because a homemaker doesn't bring home a paycheck, does not mean this is entirely her job. Even a man at work is dependent on many other people to help him do his job. The family should all chip in and do her bidding at home. If there are things that are making her unhappy, such as a yard that needs to be cleaned up, or vacuuming that needs to be done, it doesn't hurt the family to help. The mother is there to organize it and plan it. She is responsible for getting it done, even if she has to appoint others to help her. In order to give a woman peace of mind in the home, she should never be accused of being a freeloader, not paying her way, or not earning a living. The Biblical mandate to provide for the family was given to the husband, never to the wife. She is to be wife, mother and homemaker. His job is to earn the dollars and his wife is to manage the home with those earnings.To make her also "pay her share" as they are saying these days, is to load her down with double work. She would work all day at someone's place of employment, and then come home exhausted, with the house to manage and meals to provide. In marriage, it is better if both of them are not exhausted all the time. The wife at home, with no added burdens, will have the health and the stamina to do a wonderful job, and the husband will be glad of it. In "the old days" before a lot of you were alive, a man would never ask his wife to get a job outside the home. To do so would be admitting that he could not be a good enough provider, and that would have been a shame. He would have been embarrasssed if his wife went to work. He wouldn't have been able to hold his head up in society. If the wife went to work, she also would have been embarrassed. It might have made others think that she could not manage her husband's money, or that she was extravagant, was gambling or in debt, or wanted things to add to collections. 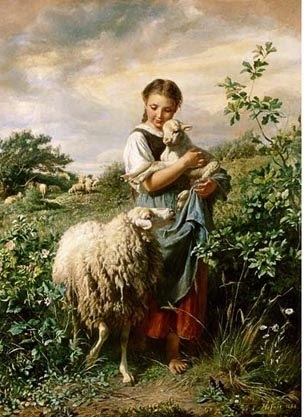 If women want peace in their lives, and don't want to end up on sedatives, they need to return to this simple way of life. Here is a new painting. Don't show any real artists...it was just for fun and relaxation. Getting it to a smaller size on the computer caused it to be a bit warped in certain areas, and a bit stretched out in others, and the colors are not as vivid. I have no clue what I am doing and I don't follow directions very easily. I found a similar picture on an old postcard of the late 1800's. I thought this house was probably a farm house of the 1920's.